Regaining your health is challenging life changing event. Do you have what it takes to change your life? Below is a step-by-step guide in getting you pointed in the right direction? What should you do first? What is the next step? We hold your hand through the maze of information already given and guide you through each step to a new “you”. What are the keys to getting my health back? Here is a list of your goals to improving your health. •	Drink the best fluids that promote health instead of causing disease. •	Eat the best foods that have Anti-Cancer properties, which promote health and build your immune system. What are the best foods? Organic raw vegetables. •	Build your immune system with a diet rich in fresh organic vegetables, fruits, supplements, and exercise. •	Eliminate or reduce your exposure to all sources of mold in your home and work environment so airborne mold spores cannot infect you. •	Reduce the Toxins Going in Your Body: Stop using your toxic soaps, shampoos, conditioners, deodorant, shaving cream, body lotion, after shave lotion, toothpaste and hair sprays. Use the healthy replacements. Here is a brief summary of what you're going to do. Do not order anything yet. See "My Checklist" at the end of this Chapter. •	Ask your Doctor to help eliminate or begin reducing all unnecessary prescription drugs before you begin “My 60-Day Planner.” Must read – see Addendum #6 Prescription and Nonprescription Drugs. •	Obtain a baseline PSA Test from your Doctor. Save the results and put it in your binder. •	Obtain a “Heavy Metals” Urine Test either from your Doctor or Do-it-Yourself at- http://www.testcountry.com/categories.html?cat=399&middle save the test and put it in your binder. •	Obtain a “Vitamin D” Test from your Doctor or Do-it-Yourself at- https://vitamindcouncil.zrtlab.com/ -Healthsave the test and put it in your binder. •	Obtain a complete “Blood Profile” from your Doctor. Save the results and put it in your binder. Purchase "Hydrogen Alkaline Water Sticks" from E-Health Manufacturer . The most therapeutic drink on “My 60-Day Planner” is “Hydrogen Alkaline Water.” How can this Water help me with my cancer? Hydrogen Alkaline Water will flush your body with oxygen causing the fungus (cancer) to die off because it cannot survive in an oxygen rich environment. Which Brand Should I Purchase? 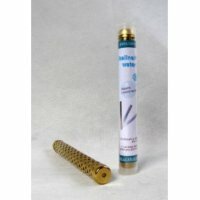 I use the Hydrogen Alkaline water sticks from E-Health Manufacturer on E-Bay. Five sticks cost less than $40 and last about 3-4 months. Purchase ten water sticks for your 60-Day Planner. For more information on this, see the section on Alkaline Water or go to the website below to purchase your sticks. Mold begins growing indoors when mold spores land on surfaces that are wet. Mold needs moisture. Check your house for roof leaks, foundation cracks, leaking water pipes and appliances or relative humidity that is over 65%. Remove all moisture from your home. Kill the mold spores in your home with an effective air purifier. I recommend a filter that kills indoor mold by as much as 99.9% if you strategically locate them throughout your home. Purchasing these air purifiers can eliminate the environment as one of your causes of cancer. Cost for 3 filters is $500. Decide on your Exercise strategy. See Chapter 9 for details on the importance of exercise in restoring your health. Purchase "Internal Cleansing Kit" from Blessed Herbs. Digestive Health.- Stage 1 of “Getting Started Back to Health”. Your health is directly related to your ability to digest foods and assimilate the nutrition from them. First, purchase the Blessed Herbs “Internal Cleansing Kit” which cleans and rejuvenates your entire Digestive System including your colon. In just nine days you will have your digestive system completely restored with supplemented “friendly bacteria” and enzymes. After the Digestive System is cleansed the kit moves on to Step 2: Your Liver & Gallbladder and Para Cleansing. Step 3 of the kit cleans your Lungs, Kidney & Bladder while Step 4 your Lymph, Blood, & Skin. This 24 Day ultimate body cleanse will leave your body restored and ready for the “Anti-Cancer Diet” (See Chapter 6- Digestive Health). The best multivitamin and mineral supplement in capsule form that is easily digestible. Only Garden of Life Vitamin Code provides Raw Food-Created Nutrients. These nutrients are cultivated with their unique Code Factors intact, enabling natural recognition of nutrients by your body. Scientists believe they now know exactly why polyphenols, such as those found in green tea, inhibit cancer growth. The antioxidants produce a combined effect to disrupt an important cell signaling pathway necessary for prostate cancer growth. • Green tea extract works by affecting actin remodeling, an event that allows cancer cells to move and invade nearby healthy tissue. • When a human moves, the muscles and skeletal structure function together to assist that movement. In order for cancer to grow and spread, the malignant cells must be able to move; this movement depends on actin remodeling. • Green tea extract makes the cancer cells more mature and joins them together more closely (a process referred to as cell adhesion). • Both the maturity of the cells, as well as the occurrence of adhesion, inhibits their mobility, thus hindering spreading. Purchase the "Indian Herb" formula at the website below and follow there instructions closely. I recommend it because of the success it has had in the past. When you include this herb with my other recommendations we are only increasing your odds at beating this cancer (See Chapter 5: Supplementation). See Chapter 5 Supplementation (#7). Studies conducted using Flaxseed Oil on numerous disorders have been pouring in from all over the world, showing impressive results, including anti-tumor activity, increased metabolism, greatly boosted immune system, reduced cholesterol levels, normalized blood pressure levels and inhibition of cancer cell growth. • Purchase 8 –16 oz bottles of Organic, Raw Cold-Pressed Flaxseed Oil from Swanson or your favorite health food store. Take two tablespoons two times daily with one-quarter cup of cottage cheese. • Purchase Low fat Cottage Cheese from your Grocery store. • On the Third Day on “The Budwig Protocol” – Expose your Body to Sunshine without sunscreen – Day three of “The Budwig Protocol” – expose as much of your body to the sunshine without sunscreen so your skin turns a slight shade of pink. Once your skin turns this color you can no longer absorb any more beneficial rays --- your battery has been charged up for the day. Sunshine on your body is healthy as long as you do not burn. See "Vitamin D - Sunbathing"
Watch your sun exposure at the beginning since you may only need as little as 5 (five) minutes of exposure during the midday summer sun. As your skin turns a darker pigment you will need longer exposure to get the same benefit. Use common sense. Do not overexpose your skin. Sunburn is unhealthy (See Chapter 5: Supplementation- “The Budwig Protocol” Item #7). See Chapter 4: “Anti-Cancer Diet” for the foods to eat and drink and the ones to avoid. Foods to Eat- "The 70-10-10-10 Rule"
Eat or Juice at least 70% of your foods "Raw Organic Vegetables" See Anti-Cancer Diet Chapter 4 for the foods allowed. Eat salads with at least ten different vegetables. Juice your vegetables. See ADDENDUM #2 "Salad and Salad Dressing Recipes"
Eat 10%- "Meat" "Grass Fed Free Range" Beef, Bison, Chicken or Turkey. Alaska "Fresh Caught" Salmon- Eat at least 3 lbs per week. Why? Salmon is rich in nutrients Vitamin D (350%), Vitamin B-12 (175%), Niacin (75%), Calcium (50%), Selenium (110%) and Phosphorus (75%) per 8 oz serving. Make sure your meat is "Grass Fed Free Range" and your fish is "Fresh Caught" not farm raised. What are these 10% Nuts and Supplements? Supplements and Snacks on "Anti-Cancer Diet"
Raw Almonds Purchase a large 3-5 lb bag (cheaper in bulk)- Eat 30-40 kernels per day. The healthiest snack food period! This is a great food to snack on in the evening. Find a good grocery store or health food store to get them or buy them at Bulk Foods.Com here. Antioxidant Blend To restore your low level of Antioxidants. This Blend will help build your immune system to fight your fungus causing cancer See Chapter 5 Supplementation Antioxidant Blend - Item #2. Purchase your Antioxidant Blend here. Turmeric A powerful anti-cancer spice. Turmeric can inhibit the proliferation of tumor cells, inhibit the transformation of cells from normal to tumor and help your body destroy mutated cancer cells so they cannot spread throughout your body. Take 2 tablespoons morning and night. Purchase at Bulk Foods.com in 5-pound bag. Coconut Oil A healing saturated fat. One of the most potent nondrug or natural yeast and fungal-fighting substances is caprylic acid, a medium-chain fatty acid derived from coconut oil. Coconut oil is very effective against candida and other forms of fungi. Therapeutic dosage on the “Anti-Cancer Diet” is 3 Tablespoons Morning and Evening if you are 160 lbs or less (6 Tablespoons Daily) or 4 Tablespoons Morning and Evening if you are over 160 lbs (8 Tablespoons Daily). If you are overweight – watch the pounds melt off while you are taking Coconut Oil. Don’t forget to spread it over your body after your daily shower. Why? The antioxidants from the coconut oil restore your skin, take wrinkles away, and kill bacteria and fungi. Coconut oil is the best product I know of for your skin at half the price of lotions. I recommend purchasing the five-gallon bucket because of your therapeutic dosage. You will be using approx 1½ gallons per month on the “Anti-Cancer Diet” (See Chapter 5- Supplementation Item #4 Coconut Oil). “Anti-Fungal Remedies” Here is a list of the most potent fighters in killing your fungus causing cancer. Take as many as you can as often as possible during your "Anti-Cancer Diet." See Chapter 5- Supplementation Item #5 Anti-Fungal Remedies for more detail. Raw Honey Raw honey is a super nutritious miracle food that is Anti-fungal, Anti-bacterial, and Anti-Viral. Phytonutrients found in honey have been shown to possess cancer-preventing and anti-tumor properties. Buy your “Raw Honey” at your local “Farmers Market”, Health Food Store or on the Internet. Shop around first at your local “Farmers Market” or find your nearest producer. Make sure your honey is RAW! Pasteurization destroys all the beneficial enzymes in the honey. Take a couple teaspoons before each meal because it helps with digestion. Bulk Foods.com sells a large bottle for a good price. Probiotics Supply your gut with the missing “friendly bacteria” needed for proper digestion. Purchase “Probiotics 12 Plus” - 1 package and take until you have used them up. Stay away from Antibiotics, supermarket beef, and homogenized and pasteurized milk. These foods contain Antibiotics that kill your friendly bacteria. The Probiotics should be taken after completion of the Blessed Herbs Internal Cleanse. If you have Candida Yeast overgrowth purchase at lease two boxes. Here is the website for Probiotics12. Cinnamon A medicinal spice that supports digestive function, relieves pain and stiffness of muscles and joints, kills fungi and bacteria, stimulate circulation, prevents tooth decay and gum disease to name a few. Purchase at Sam’s in the spice section in the large bottle for less than $4. Cayenne Pepper Cayenne is a pepper well known for its benefits to the circulatory system. Cayenne is also used as an overall digestive aid: It stimulates the production of gastric juices, improves metabolism, and even helps relieve gas. Cayenne is a strong anti-inflammatory and has worked well as a general immune booster, or as an addition to treatment of almost any ailment. Purchase Cayenne Pepper at Sam’s in the spice section for less than $5. Take 1 teaspoon three times daily in your water or juice. Calcium & Magnesium One of the most important minerals that your body requires in large quantities. Calcium needs Magnesium and Vitamin D to be absorbed by the body. If you are deficient in Vitamin D you are probably deficient in Calcium. Calcium & Magnesium are great cancer fighters because they alkalize your body-providing environment where your fungus causing cancer cannot survive. I purchase my calcium and magnesium from Bulk Foods.com in five pound bags. Calcium Citrate is only $16 while Magnesium Citrate is only $42. Take 4 teaspoons Calcium and 2 teaspoons Magnesium daily. Here is the website for Bulk Foods.com. Here is "My Checklist" for purchasing all equipment, supplements, and food for "My 60-Day Planner." This easy to follow "Checklist" will organize, guide and plan out your strategy for a 60 day assault against your fungus causing cancer. Begin with Item #1 Get you Doctor Appointment and follow each item all the way to Item #23. Document "My Checklist" as you complete each item. This will organize you and provide information on the status of each item. Please Copy and Keep Records when completed. [A] Required: Baseline PSA Test, [B] Required: Vitamin D Test to check your Vitamin D levels for proper supplementation [C] Required: “Heavy Metal” Urine Test [D] Required: Blood Test: Complete Blood Profile- Why? Your blood is an indicator of your overall health. We strongly recommend a blood test before you start “My 60-Day Planner” and another after the 60-Days are completed. Order the self-test for Vitamin D and Heavy Metals to save money. ___  Purchase your “Jack LaLanne Power Juicer" or other favorite Juicer. You can purchase this Power Juicer at Target or Kroger stores, or online at http://www.powerjuicer.com/ . Cost of the "Jack LaLanne Power Juicer is around $100. ___  Purchase your “Aclare Air-purifiers" from Healthy Perceptions. ___  Purchase your “Mini-Trampoline" Rebounder from Wal-Mart or Sears for $40-50. See Chapter 9- Exercise for more information on rebounding. ___  Sauna: Find a Health Club or YMCA that has a Sauna or purchase your own in home Sauna for less than $1000. ___  Purchase your Supplements from Swanson or your favorite Natural Food or Vitamin Store. Go to the site below for the easy way to purchase your supplements from Swanson Vitamins. We breakdown all the supplements and the quantity that are included in "My 60-Day Planner." Check it out below. Below is a chart for you to organize the supplements purchased through Swanson Vitamins or your favorite Vitamin Store. Organize your supplements purchased below. Place a check mark in the column when you order your supplement and when your supplement is received. Twin Lab "Cod Liver Oil"
In lieu of "Blue Ice" High-Vitamin "Fermented Cod Liver Oil"
* Supplement will be ordered later under Item 14- "Purchase your supplements from Bulk Foods.com." ** Supplement already ordered under "Antioxidant Blend." ___  Purchase your Probiotics for your Digestive Health. Order Dr. Ohhira's Probiotics 12 Plus here. Take two tablets every day while on "My 60-Day Planner" to increase your "friendly bacteria" in your gut. Cost is $31.95 per box. Order 2 boxes. ___  Purchase Blessed Herbs "The Internal Cleansing Kit." This is included in "My 60-Day Planner" because it not only will cleanse the Colon and Digestive System but also your Liver, Gallbladder, Lungs, Kidney, Lymph, Blood, and Bladder. This 24-Day Program will restore your health by detoxifying your elimination systems and enhance your immune system! We will be using the 9-Day Colon Cleanse Program with 5-Day Liquid Only Fast. Cost is $275.00 + $9.75 Shipping. • “Natural Cellular Defense” - remove the Heavy Metals from your Body (See Chapter 8: Dental Work is it Toxic to Your Health?). Purchase 3 [3-Packs] for your therapeutic dosage. • EDN- Essential Daily Nutrition- build your depleted immune system with a powerful liquid nutritional supplement (See Chapter 5: Supplementation- 3. Liquid Vitamins and Mineral Supplements). Purchase 3 [5-Bottle Packs] for your therapeutic dosage. ___  Purchase your 5 Gallon Bucket of "Coconut Oil" from the four choices shown below. All of the following Coconut Oils are acceptable for "My 60-Day Planner." Click on the Coconut Oil that you want and it will take you to that website for ordering. ___  Purchase your Raw Organic Apple Cider Vinegar from “Bragg”. Purchase at least 1 Gallon $16.49 (+$13.49 Shipping) Total $29.98. One Gallon will last about two months. The 4 Gallon Case has the lowest per unit cost. Cost $16.49 x 4=65.96 + 37.62 Shipping= $103.58 ($25.90 per unit cost). Your local Natural Foods Store will probably carry this product. Check and see you may avoid shipping costs. There are ten supplements, snacks and spices that I recommend purchasing from Bulk Foods.com because of the low prices. I have created a website page to quickly order your Bulk Foods.com items. Order your "Bulk Foods.com" Items here. ___  Purchase “Indian Herbal Formula." A very potent cancer fighting herbal formula. This herbal paste may be taken orally or applied directly to any abnormal growth. This "Indian Herbal Formula" is a relentless substance, which hunts down and penetrates all abnormal tissue. Purchase "Indian Herbal Formula" here. ___  Purchase 4 Water Bottles (“bPH Free”)- large 1-Quart for your Alkaline Water. These bottles are for your “Alkaline Water” you will take with you when you are away from home. Please make sure that your water bottles are "bPH Free" or purchase glass bottles. ___  Purchase your natural organic soap, shampoo, conditioner, toothpaste, shaving cream and deodorant from your Natural Food & Nutrition Store. Purchase your non-chemical bathroom supplies to reduce your toxic load as discussed in Chapter 1. Just because the product says "Natural" does not mean it is free of toxic chemicals. Read the labels carefully. Attached is a website I have created in ordering non-toxic bathroom supplies, laundry detergent and other household chemically free products. All of the following Bathroom Products and Laundry Supplies should be chemically free to reduce your toxic load for "My 60-Day Planner." (or Raw Goat Milk) if you want milk in your diet. Milk is not a required drink on the “Anti-Cancer Diet”. Milk is acceptable if it is Raw. Find your local Weston A. Price Foundation Chapter leader through the WAPF website. Your local chapter leader will be able to advise you on how to buy Raw Milk in your own area. ___  Find your source for “Free Range Grass Fed Beef”. It has been well documented that products from animals raised on pasture are healthier for humans. From a nutritional standpoint, grass-fed beef is so completely different than grain-fed beef that you might think the meat came from two different types of animals. In fact, 100% grass fed beef is so good for you that it is actually considered a "health food". For the best price, buy your beef in bulk. This will bring the price down to the cost of “Supermarket Beef”. Check for local farms in your area that sell ¼, ½ or full cows. I have included some websites to help your with your hunt. ___  Find your source for “Free Range Organic Eggs” at your local farmers market. I buy my “free range eggs” at my local amish farmer for only $1.50 per dozen. What a bargain! You may pay as much as $2.50 to $4.00 per dozen at your local supermarket. Check your local farms that sell “Free Range Eggs” direct. Buying direct from the farmer will save you a lot of money. Do not buy your eggs from the supermarkets. You will need 2-3 dozen per week on the “Anti-Cancer Diet”. ___  Find a good health food store or grocery store that sells a wide variety of “Organic Fruits and Vegetables”. I don’t recommend your large chain supermarkets that buy their food from large factory farms. Buy Organic when possible. The nutritional content of Organic food is two to three times better than conventional farmed Non-organic food. Your local farmers market is a good choice during the growing season but may not be the best choice during the off-season. Your "Anti-Cancer Food" should be purchased from your Natural Food or Grocery Store that specializes in organic fruits and vegetables. Some of the items that should be included in your purchases are shown below. Circle Items Purchased and Write down items not shown. Keep a list of your food purchases. All grocery store meats are from grain fed (not grass fed) animals purchased from factory farms. Remember, Factory Farms use antibiotics and chemicals. Do not purchase any meats that are "Grain Fed" or "Angus." The only sweetener allowed on the “Anti-Cancer Diet”. Stevia is a South American herb that has been used as a sweetener by the Guarani Indians of Paraguay for hundreds of years. The leaves of this small, green Stevia rebaudiana plant have a delicious and refreshing taste that can be 30 times sweeter than sugar. This is the best natural sweetener on the market. 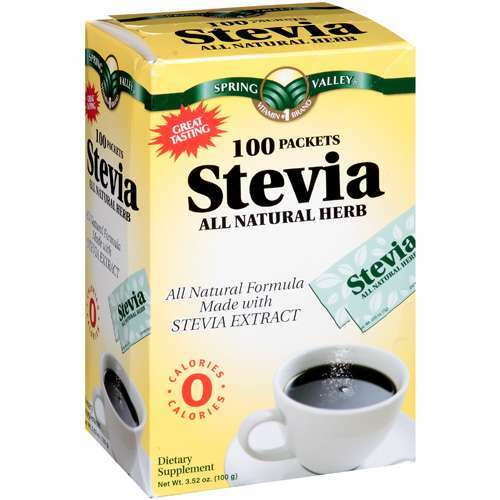 Walmart does carry Stevia in a box with 100 packets for $6.00.